World Cancer Day : How to detect early signs of throat cancer ? Agency, 4 February : The increasing rates of cancer in today’s world calls for knowing about the signs and symptoms of the early stages of the disease. One of them is throat cancer – a type that includes cancers of the mouth, tonsils, salivary glands, sinuses, nose and neck lymph nodes. The symptoms of throat cancer depend on the specific location of the infection. The signs may not be always present. Even a lump in the neck may not always detect cancer and may indicate respiratory infections. Dr Ramesh Sarin, Senior Consultant, Surgical Oncology, Indraprastha Apollo Hospitals, New Delhi explained how to understand the warning signs of throat cancer. 1. 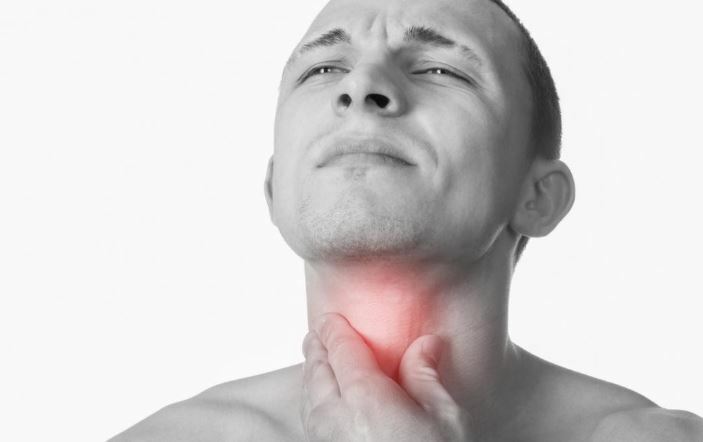 Throat ulcers or breach in the throat may be one of the early signs of cancer. While ulcer caused by detrimental dietary plans may fade away within two to three weeks, but if the infections for more than four to six weeks, one must get a checkup done. According to Dr Sarin, the ulcer can be a painless one but people should take it seriously. 2. Smoking has always been one of the top cause of cancer. For people who indulge in smoking tobacco, having pan masala, or a combination of alcohol and tobacco are at a higher risk of throat cancer. 3. Any kind of oral cavity, white patches, irritation on the lining of the tongue or the inner cheeks may be one of the early signs of cancer. Any small swelling or a rash on the tongue are also some of the other symptoms. 4. Hoarseness, which is an abnormal change in the voice may indicate vocal chord cancer. If the hoarseness persists for more than three weeks, it could be a sign of laryngeal cancer. 5. Swelling or a lump in the neck or mouth areas can also be a sign. An enlarged lymph node may be due to cancer if it does not go away within three weeks.